Choose from our latest seasonal specials and rejuvenate your body, mind and soul. Celebrate you! 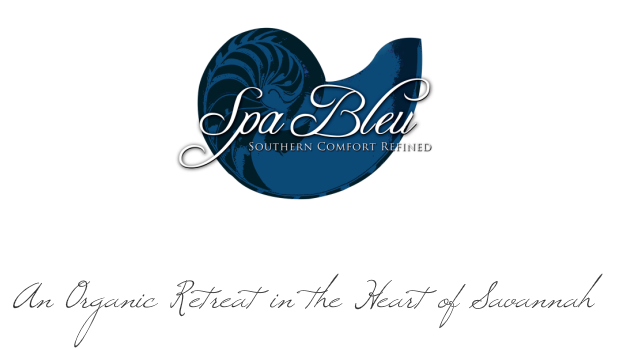 A Gift Certificate to Spa Bleu Makes the Perfect Gift for Someone Special. * Gift Certificates for the Packages are available online, in-store or by phone. Relax together with a 1 Hour Couples Massage w/Organic Aromatherapy, and Hot Wax Hand & Foot Infusions. Enjoy true relaxation with your choice of a 1 Hour Skin Specific Facial OR a 1 Hour Customized Massage w/Organic Aromatherapy, a Warm Scalp Infusion, followed by a Spa Pedicure. Give Mom the relaxation she deserves with this luxurious Spa Package. Enjoy a 1 Hour Customized Massage w/Organic Aromatherapy & Rosemary Mint Foot Scrub, a 1 Hour Dead Sea Salt Scrub, followed by a 1 Hour Skin Specific Facial w/Warm Scalp Infusion. Shop Local & Support Georgia Businesses! Give the gift of relaxation. Spa Bleu Gift Certificates may be purchased in the spa (complimentary gift wrap), through our website (print instantly), or over phone. We are happy to mail them to the special recipient, or we can offer you curbside service--just call us and we will be happy to bring the certificate down to you, no need to park! Please call us with any special requests. We can build custom packages, include special gifts, etc. for your loved one/s. We are happy to accommodate you! All specials may be purchased as gift certificates. Specials cannot be combined with any other discount or offer. ​Please contact the spa with any questions at 912-236-1490.